A few months ago I ran a poll on Oh Baby Instagram asking which topic you’d like me to write about first: the dark truth about purée pouches, or the dark truth about baby cereal. The pouches won but there was still a lot interest in baby cereal, so after much prompting I promised I’d share about that as well. The thing is, I prefer focusing on all of the amazing foods we can feed our babes with, not just the ones to avoid. I also don’t want any feel badly about any choices they’ve made. We’re all just trying to do our best for our little ones! I’ve finally decided to post this because even though baby cereal is one of the most common foods to start solids with, unfortunately it truly isn’t the best first food to nourish our babies. Baby cereal was first introduced in the 1930s, which was when a monumental shift occurred away from real foods towards processed convenience foods. Previously known as pablum, mothers were advised to mix it into a bottle with breast milk for babies as young as six weeks old. Then when baby was around 3 or 4 months old, the pablum was mixed into a thicker consistency to be spoon-fed. It was marketed as an ideal first food for your baby. Iron-fortified grain cereal is still a leading recommendation for starting solids… even by most pediatricians, and even with today’s clarity about the importance of whole foods vs refined. Sadly, processed grain products aren’t the healthiest choice for anyone, let alone as a first food to properly nourish a developing baby. Baby cereal is stripped of its nutrients and fiber and it’s highly glycemic, which causes drastic blood sugar spikes followed by inevitable fussiness and hunger. Many parents often start solids prematurely with the hopes of keeping babies “fuller for longer”, but a high glycemic food like baby cereal doesn’t contain the fat or protein necessary to satisfy a baby for very long at all. Baby cereal is also very bland tasting, which doesn’t set the stage for adventurous eating. Even if it wasn’t refined, rice is sorely lacking all the top essential nutrients a baby really needs when starting solids, such as healthy fat, calcium, vitamin D, choline & naturally occurring iron. Baby cereal is fortified with synthetic nutrients, but our focus should undoubtedly be to ensure that our babies are eating naturally nutrient-dense foods instead of foods like baby cereal that are fortified with synthetic nutrients. Let’s skip the processed foods to help set our babies up for a lifelong relationship with healthy, whole foods. Arsenic is present in soil, so all plants can absorb some of it. Although, rice is known to be high in arsenic because it’s grown in flooded paddies and soaks up more arsenic than other food crops. As a well-recognized carcinogen, arsenic is currently regulated in drinking water. However, there are currently no regulations concerning arsenic concentrations in food, including infant rice cereal. While other foods account for 19% of arsenic exposure in babies 4 - 24 months, rice cereal accounts for 55%. Several studies have found that arsenic exposure in rice cereal exceeds the US Environmental Protection Agency’s maximum contaminant levels and markedly increases arsenic exposure among babies. Studies show that the toxic effects of rice are most concerning in infants. What about whole grains for babies? Some people argue that a baby doesn’t produce enough amylase to properly digest grains. But I actually recommend being cautious with grains for an entirely different reason. Grains can be difficult to digest, even for many adults with mature digestive systems. Grains have substances called phytic acid that inhibit the absorption of minerals like iron and calcium. When we look to ancient cultures for wisdom, babies have been fed rice or other grains as a first food in many countries around the world. They also weren’t using arsenic-containing pesticides that significantly increased the arsenic levels present in their rice. However, it’s important to note that these whole grains used by these cultures were carefully prepared using traditional methods. If you do include grains as a part of your family’s meals, I suggest properly preparing them by soaking, sprouting, or fermenting/souring to increase nutrient absorption and digestibility. I also prefer waiting until baby is reliably consuming 3 meals per day with ample amounts of food at each meal. Babies tend to prefer ‘filling up’ on grains if given the choice, but like baby cereal, whole grains don’t contain the essential nutrients that a baby requires in high doses during this age (fat, calcium, vitamin D, choline & naturally occurring iron). This leaves less room in their tiny tummies for the other foods that are much higher in these nutrients. Lastly, grains are pretty bland, and time and time again I see that if baby was introduced to these foods in larger amounts at an early age, it’s much harder to diversify their palate later on. Early exposure to a variety of flavors is key! If you eat low-carb yourself and don’t regularly include grains as part of your family’s meals, remember that little ones still require sources of healthy, whole carbs, such as winter squash or root vegetables. It’s also beneficial to expose your baby to gluten before the age of 12 months to help reduce their risk of developing allergies. Is your little one starting solids? Baby Knows Best is your guide to first foods. 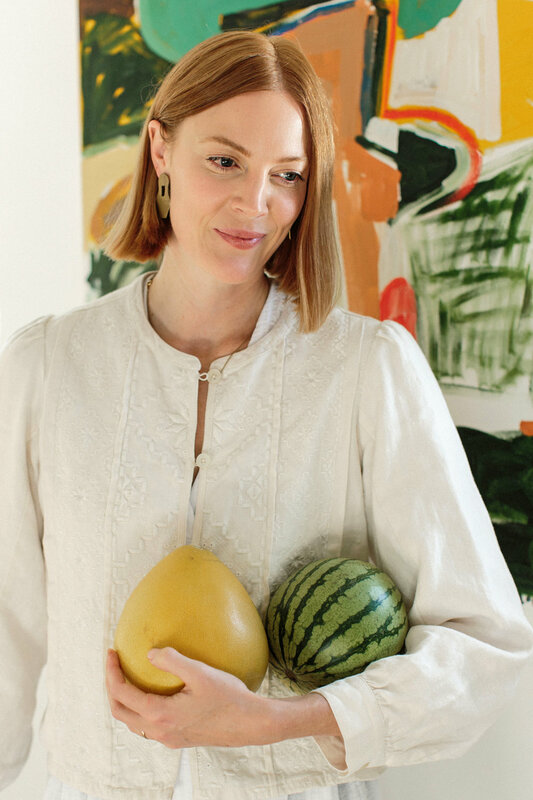 It will ensure that your baby establishes healthy eating habits right from the beginning and will allow for this potentially overwhelming step to be much more enjoyable. Puree pouches are super convenient, they contain fruits & vegetables, and most importantly kids love them, but are they really a healthy option for your baby? They may seem just as wholesome as homemade, but unfortunately that’s not the case… even with ‘organic’ on the label. Who knew having a baby would require so much product research? The truth is, all a baby really needs is nourishment, warmth, and love. But there are definitely some things that can help make the journey easier for both of you. 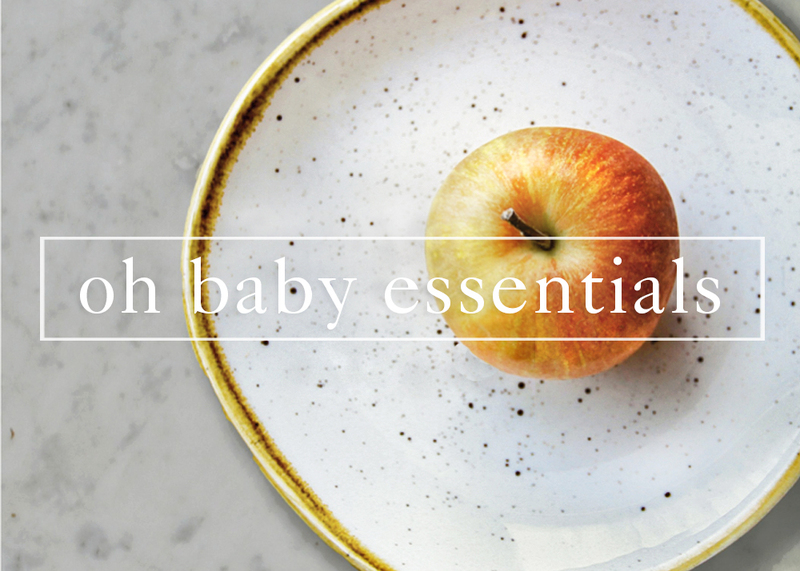 In this 'Oh Baby Faves', I share my personal favorite products for starting solids! When starting solids with your baby, choking and gagging are always the biggest concern. Choking is probably the number one reason why parents don’t give baby-led weaning a chance and decide against introducing finger foods from the start. 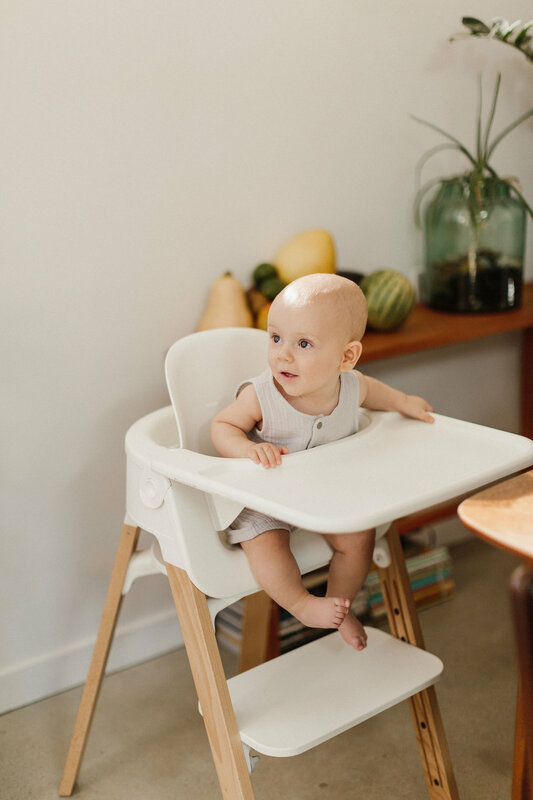 This is an incredibly important topic and I wanted to cover everything you need to know so you can keep baby safe and have more confidence with solids. Breastfeeding, in all its natural glory, isn't always something that happens easily. The choice to breastfeed is a dedication that some mothers have to work very hard for, and others are not able to breastfeed at all due to a medical condition, either with themselves or their baby. When mothers are seeking alternatives to breastfeeding, they are often quite overwhelmed.